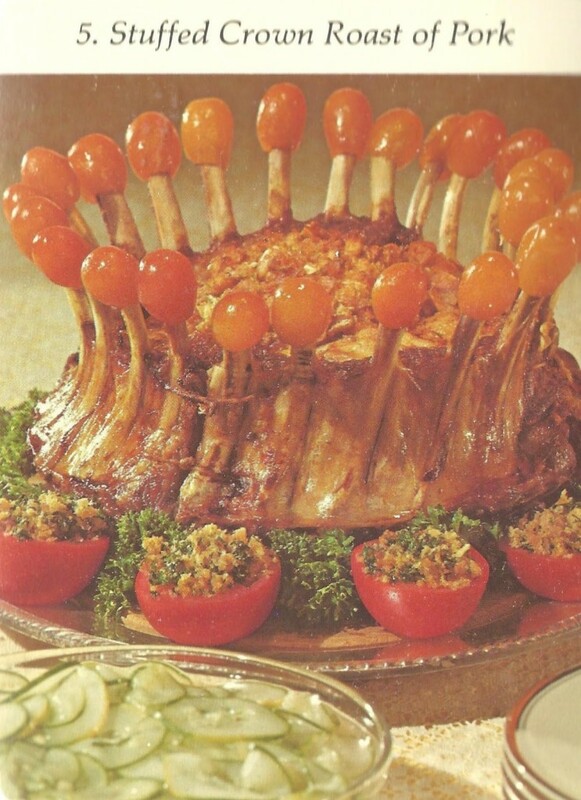 A proper crown roast is an impressive – some might say barbaric with all those bones sticking out – sight on a table. It is a show-off piece that demonstrates that you want to serve high class food to your guests – provided you are able to cook it properly. Here we have a particularly cheesy version with kumquat-decorated bones surrounded by tomatoes stuffed with something. 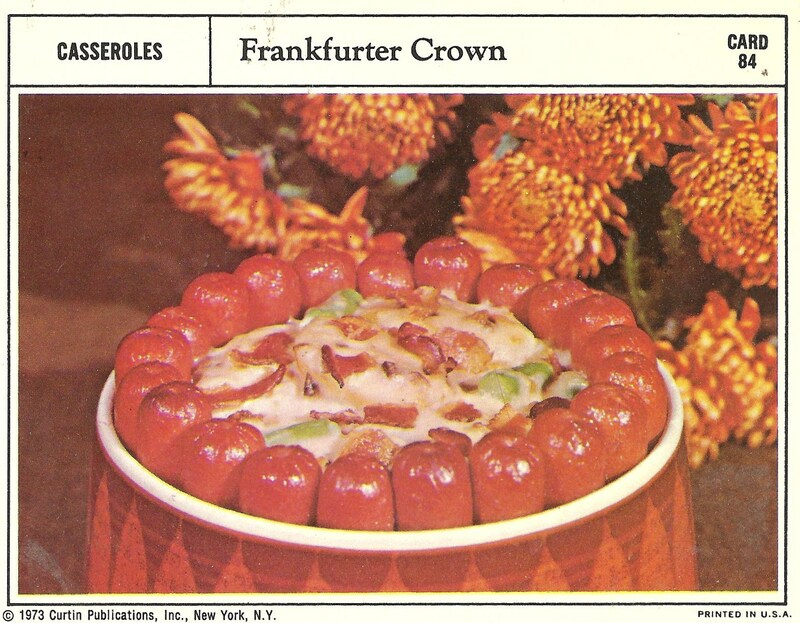 But of course there is also the poor-man’s version of the crown, made with weenies. 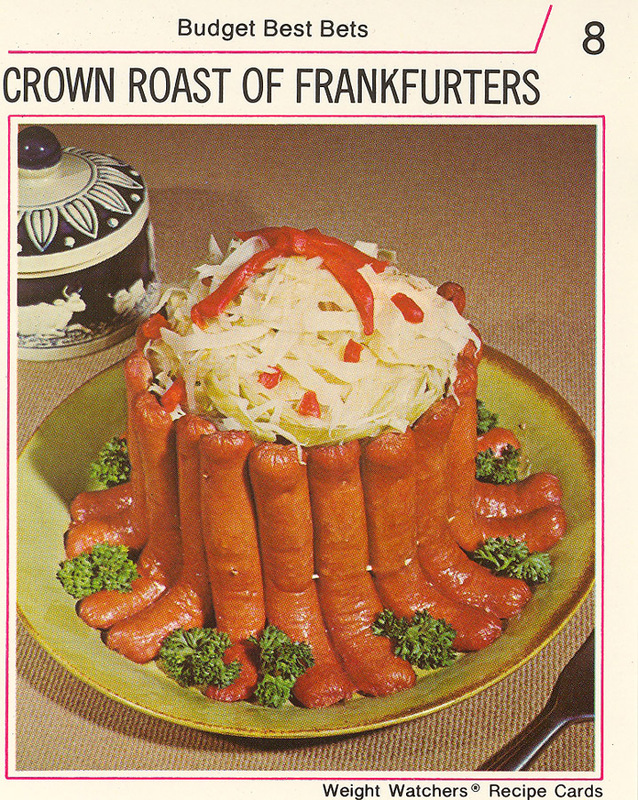 The Weight Watchers’ interpretation of this classic is served with cabbage – presumably to keep it in ‘authentic’ German style. 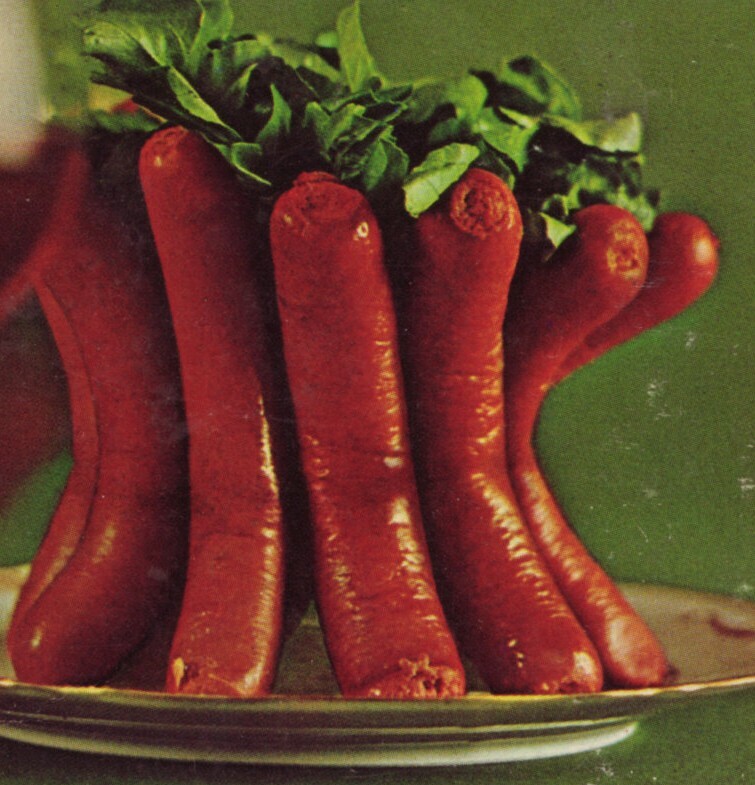 Well, I am glad to confirm that this way of serving sausages is hugely unpopular in Germany. 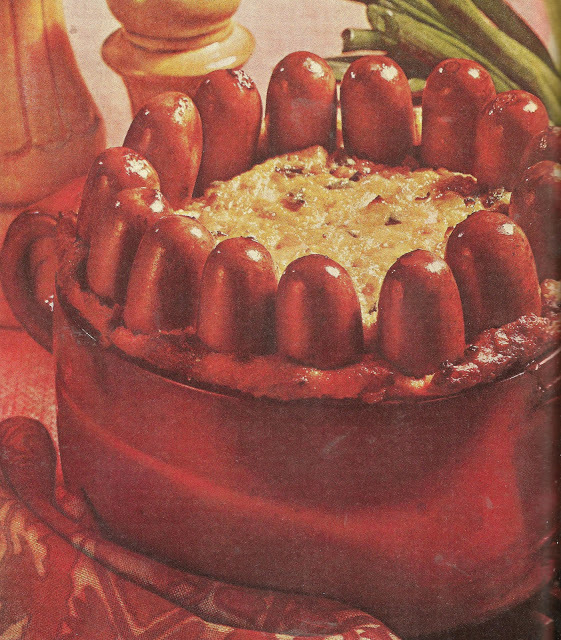 We have our own way of serving wieners atrociously. Stay tuned. I’m literally weeping from laughing… Or maybe I’m just weeping. I’m also hungry and some of this is looking suspiciously delicious! GOD HELP ME! Previous post: Whales, Seals And Horses – Or What Is An Atrocity Anyway?